Over 7 seas goes to market this Sunday !, a photo by Birgit Deubner on Flickr. 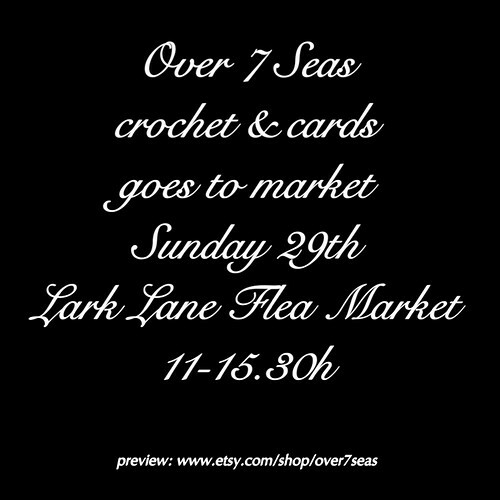 NEWS: I will be at the Lark Lane Fleamarket this Sunday between 11:00 and 15:00. Hopefully selling a suitcase full of handmade scarves. Craft and handmade prices, but priced in poor wool lover’s & surviving artist’s categories… I won’t be here in November so this is a great chance to stash a few presents for friends and family and yourself! the shop will go on holiday for 10 hours while Birgit will be at the market but the shop will be back live as soon as she gets home and has a chance to edit the sold scarves from the online shop.